eTargetMedia knows that it’s important for businesses to be able to reach their customers with messages that speak to their specific interests and needs. 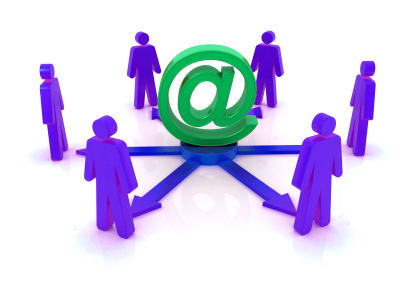 Our email lists are highly segmented by a range of demographic, geographic and lifestyle choices to allow marketing campaigns to connect the right message with the right audience. Research from the DMA National Client Email Report 2015 shows the importance and growing acceptance of targeting email marketing campaigns. ‘According to the report, only 3 percent of all companies surveyed failed to perform any segmentation of their email lists and messages. By contrast, the number of companies that do apply segmentation in their email marketing campaigns has risen steadily over the past three years. Companies are not only more likely than ever to use some form of segmentation, but they are also performing more segmentation. In 2014, 42 percent of all respondents said that they use six or more customer segmentations in their email marketing, an increase of 5 percent in the past two years. Using audience segmentation in email marketing isn’t just smart for businesses; it also helps to ensure consumers are getting messages that are relevant to their interests. Doing this makes them more likely to open future emails from all companies because they understand that there’s a good chance that there is something inside that they will be interested in learning about. There are many different ways that email segmentation can help a company define their audience and control who is receiving their marketing campaigns. eTarget Media can help your business take the work out of this process with our highly segmented and curated opt-in email lists. ©2018 eTargetMedia.com, LLC All Rights Reserved.